Our society today relies on technology, whether it be email and Internet access, the latest learning tools, or simply computer access for all students. The Technology Department at East Orange School District works every day to ensure the technology side of teaching and learning is meeting the needs of our students and staff members. 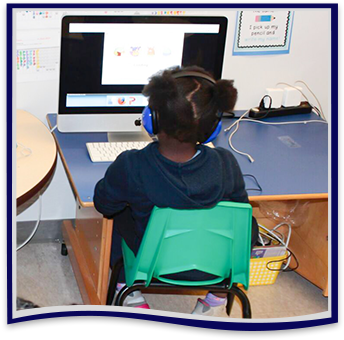 The Department of Technology for the East Orange School District maintains and works with staff and students by giving them the latest access to technology in keeping with the district’s technology plan but also keeping with the district’s Internet use policy. Staff from the Technology Department works very closely with our schools and administrative staff members to help them identify hardware and software that meets the needs of the schools as well as central office staff. We aim to bring authentic instruction to the learner, foster collaboration, and empower teachers to motivate and prepare learners for a complex 21st century society. Perhaps more importantly, our classrooms provide a vital connection between school and the digital lives of our students. Protecting the privacy of student educational records is a top priority as New Jersey continues its testing program with the Partnership for Assessment of Readiness for College and Careers (PARCC). The New Jersey Department of Education and the school districts across the state have always protected – and will continue to protect – all student data. The Family Educational Rights and Privacy Act (FERPA) and the New Jersey Administrative Code (N.J.A.C.) 6A:32-7.1 et seq. protects the privacy of all student information. FERPA requires that local and state education agencies protect the privacy of personally identifiable information about a student and strictly control access to a student's educational record. Unless there is written consent from a parent or an adult student or a valid court order, FERPA prohibits the release of education records to anyone other than authorized district personnel, state officials, or others with legitimate educational interests that necessitate access to the student data. Teachers can find some of the important technology forms they need right here. We have specific procedures in place to make sure the technology resources are used consistently on all our campuses. What’s new in technology at East Orange? Find out here!